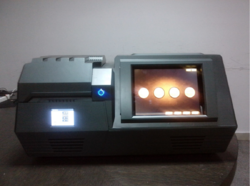 Prominent & Leading Exporter from Ludhiana, we offer gold tester, gold testing machine, caddmium gold tester, xrf spectrometer and exf 8200 gold testing machine. Ocean King Stand Alone 8200 Integrated PC based with Multitouch Touch Screen Interface. It’s a stand alone integrated XRF gold testing instrument with inbuilt Monitor shows you the result instantly. 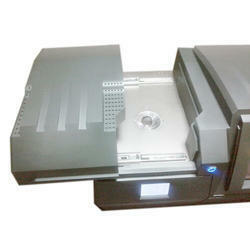 With smaller foot print and due to integrated System, the unit saves space time. - Easy to Use GUI software means no confusion for users. - Laser guided placement spot makes placing jewellery inside the chamber quick & easy. - No more adjustments of stage or hovering in the test chamber to locate excitation - An important advantage of Bottom up X-Ray mounting. 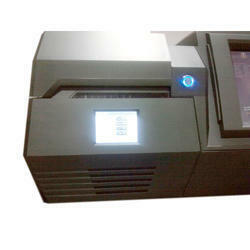 & Many more features, advantages & benefits apart from being Most Competitively Priced Gold Karat Analyzer In India. Specially Configured software & our technical knowhow helps the user get most accurate results. After sales service is the key, OceanKing has complete support to its customers and gives 100% backup across India. Our engineers are well trained & We stock good levels of spare parts to support our customers. Ocean King Stand Alone 8200S is excellent in design & delivers powerful performance. Its an excellent product offering highest Price to Performance Ratio in the industry. The New Design is based on Aero Space Design concept and also its sleek shape makes it a compelling instrument for Every Jewellery Showroom Or Banks. In order to ensure the user safety, it’s installed the automated anti-radiation device. Stand Alone 8000S gold testing instrument is ideal for showroom, manufacturing centers, wholesalers, Banks for gold loan, Export oriented jewellery manufacturing units, etc. 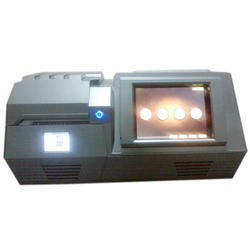 to provide fast and accurate results. Analysis Elements: Au(Gold), Ag(Silver), Pt(Platinum), Pd(Paladium), Rh(Rohdium, Ru(Ruthenium), Cu(Copper), Zn(Zinc), Ni(Nickel), Cd(Cadmium),(IR)Iradium,(CD)Cadmium etc. 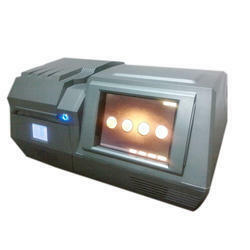 Test Time: Confirm the elements in 30~200 second, operator could set the time for testing the elements intensity. Detector: High Resolutions Hermetic Proportional Counter with Micro processor technology Auto thermal environ change cut off system, protects the system from Damage or Malfunctions, thus protecting the results derived on the system. Integrated PC with in-built monitor, designed compact with Small foot print. Integrated PC – saves space due to small foot print. 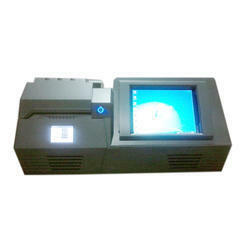 Hardware and Software lock is provided to prevent any kind of misuse by unauthorized person. Operation and Administrator mode to limit and delimit access. Easy to initialize by the user in one single step with Standard Silver Reference Material. Looking for XRF Spectrometer ?